The firm said in a statement it would stop deliveries of the A380 in 2021 after Dubai-based airline Emirates reduced its order of the model by 39 planes. The firm said it would stop deliveries in 2021 of the A380, which has been in operation for more than a decade, after Dubai-based carrier Emirates reduced its total order of the model by 39 planes. It marks an ignominious end to a bold bet on how millions of people would travel in the future, as airlines struggled to fill a plane capable of carrying anywhere from 500 to 850 people. "Following a review of its operations, and in light of developments in aircraft and engine technologies, Emirates is reducing its A380 orderbook from 162 to 123 aircraft," Airbus said in a statement. "As a consequence and given the lack of order backlog with other airlines, Airbus will cease deliveries of the A380 in 2021." Airbus had been forced to slow A380 production in recent years before warning in January 2018 that the programme could be scrapped if no new orders came in. Just days after this announcement, the company appeared to get a lifeline with the latest Emirates deal, but last month Airbus admitted the airline might now be reconsidering. In Thursday's statement Airbus said it would deliver the last 14 A380s to Emirates over the next two years, adding that the airline had ordered 70 smaller planes from the manufacturer. Emirates' decision means Airbus has "no substantial A380 backlog and hence no basis to sustain production, despite all our sales efforts with other airlines in recent years", Airbus Chief Executive Officer Tom Enders was quoted in the statement as saying. Airbus also posted its earnings for 2018 on Thursday, reporting a rise of 29 percent in net profit to 3 billion euros ($3.4 billion). The company said it would deliver between 880 and 890 new commercial planes this year, adding that it was allocating 436 million euros to the A400M military transport programme. The plane's demise echoed that of the supersonic Concorde built by Airbus's British and French precursors, a technological feat of the 1970s which never managed to prove its commercial viability. Airbus had faced scepticism over the A380's future since the 1990s, when it began to envision a competitor to the hugely popular 747 from US archrival Boeing. The conglomerate, long held up as a shining example of pan-European industrial cooperation, suffered a series of costly delays before the A380's first commercial flight by Singapore Airlines in 2007. Production problems and cost overruns in the billions of euros continued to plague the project, forcing Airbus to report its first-ever annual loss for the 2006 financial year. 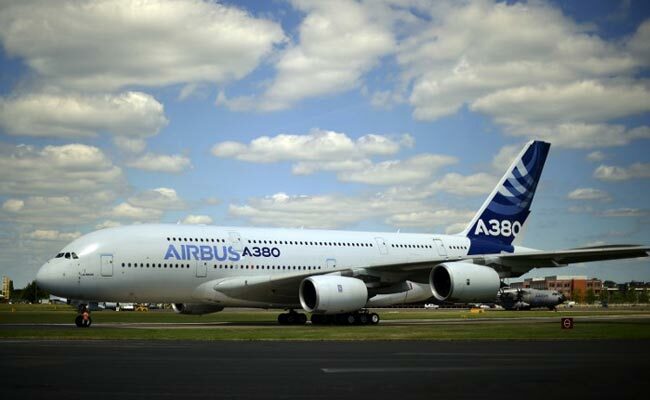 Airbus stood by the A380 even after it was slammed by the global financial crisis of 2007, when airlines started having second thoughts about owning huge planes that were profitable only when filled to the brim. Boeing by contrast pointedly dismissed Airbus's theory that airlines wanted huge transporters serving a handful of global hubs and focussed instead on its midsize 787 Dreamliner. That bet has paid off, with more than 1,100 Dreamliners ordered since it entered service in 2011, compared with just over 320 A380s. Top managers and key shareholders were suspected of selling shares in Airbus's parent company shortly before the superjumbo's production problems were made public, though no one was ever convicted. Pledges to get the A380 programme back on track were unable to avoid further delays, even as a series of safety scares raised questions among potential clients, including long-targeted Chinese airlines.